How can digitization be used in maintenance? Which procedures and considerations are important? What influence do digital twins, predictive maintenance and networked sensor systems have on the processes and teams in maintenance? Answers to these questions are available in the whitepaper “The Digital Transformation of Maintenance”. The increasing digitization and networking of industrial processes (keyword Industry 4.0) has a massive impact on the strategies and methods of maintenance and asset management, says publication author Georg Güntner from Salzburg Research: “According to experts, production, maintenance and plant construction will come even closer together in the future through the use of shared and integrated databases.” State-oriented and forward-looking maintenance strategies will become more important than reactive and preventive approaches. The use of cost-effective sensors, IoT and cloud technologies, combined with visualization and forecasting software systems, creates new business models for operational asset management. New value chains harbour disruptive potential for traditional relationships between plant manufacturers, operators and maintenance personnel. 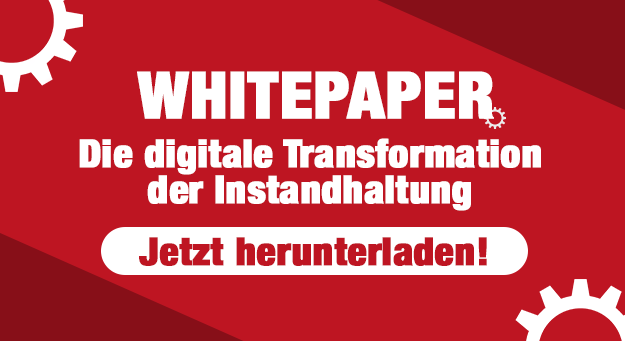 The whitepaper “Die digitale Transformation der Instandhaltung” (The Digital Transformation of Maintenance) was published as part of the research project i-Maintenance by Georg Güntner (Salzburg Research) and Lydia Höller (dankl+partner consulting GmbH). It outlines selected content of the toolkit for the digital transformation and prepares it for practical use: In 14 contributions we offer an overview of methodical procedures and a system for assessing the degree of maintenance (Excellence Radar), describe technical solutions (e.g. maintenance software, condition Monitoring, Predictive maintenance, Messaging Systems, Digital Twins, Internet of Things Technologies, Drones) and recommend a strategic approach to digital asset management. On the basis of concrete application examples, it will be shown where digitization is not an empty phrase, but a lived reality and in which the added value lies.